The DEMO 2020 advisory committee at the demo site with the Low mayor and fire chief. Local support for the event is high. DEMO 2020 will be held September 24-26 on land belonging to SBC Cedar, a family-owned manufacturer of eastern white cedar products. The 3.5-km DEMO loop is on the Low Property within the company’s 360-ha Venosta forest, and boasts gently rolling and well-drained terrain, and just about every wood type available in this part of the world. 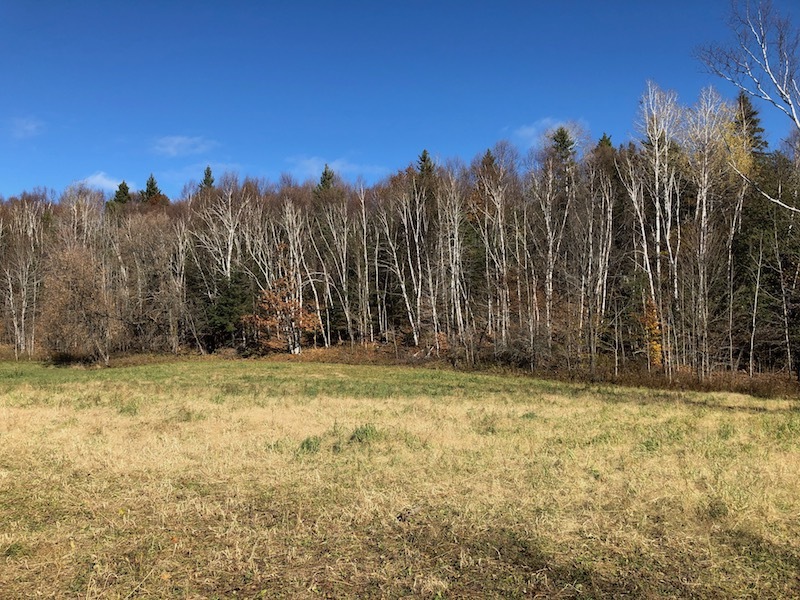 The harvesting prescriptions for the live demos will include a mix of partial cutting and clearcut, all part of the landowner’s directive to improve the area’s value for the local white tail deer population. The site includes a large meadow adjacent to the loop that may serve as a “Grinder Gulley” that would locate all the active biomass system demos in one convenient spot. A meadow off the DEMO 2020 loop that may host Grinder Gully – an area focusing on biomass and chip processing equipment. The site is less than an hour from downtown Ottawa in rush hour and 45 minutes from Gatineau, making hotels, restaurants and tourism an easy mix. Ample parking is available and will be developed right on site, allowing attendees easy access. Shuttles will run from Ottawa and Gatineau hotels for those without vehicles. Ottawa itself is an easy trip from many areas. A partial list of direct flights includes Halifax, Moncton, Quebec, Montreal, Toronto, Edmonton, Calgary and Vancouver in Canada; Boston, Chicago, Detroit, Newark, Philadelphia, and Tampa in the U.S.; and Frankfurt in the EU. It is also a 60-minute drive from Ogdensburg, N.Y.; 90 minutes from Massena, N.Y.; two hours from Montreal, and under five hours from Quebec City. The gentle 3.5-km loop includes the easiest walking terrain in recent memory, and features full cellular coverage throughout. DEMO International is held every four years by the Canadian Woodlands Forum, with DEMO 2016 held in Maple Ridge, B.C. 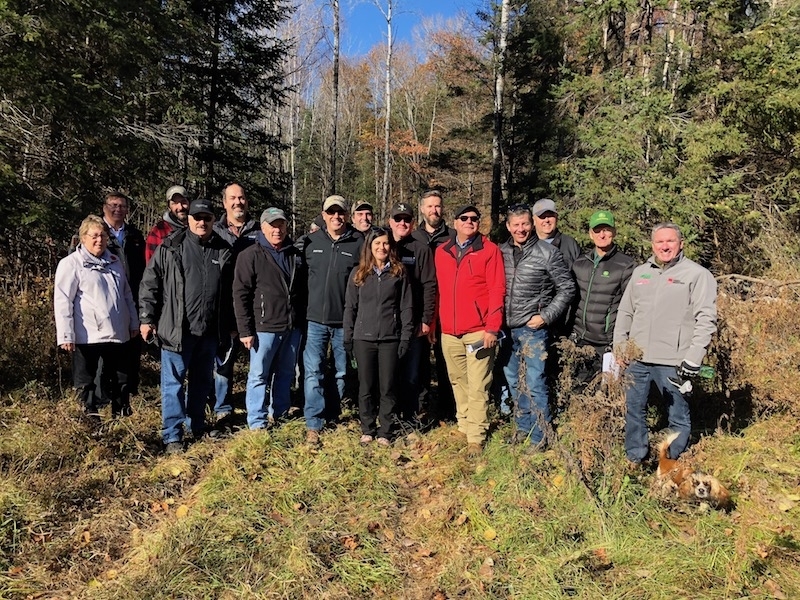 DEMO 2020 will feature roughly 20 active sites where new logging gear will run live harvesting demonstrations, as well as a host of static sites showing a full range of logging technology. The event will be preceded by a forestry conference in Ottawa that will focus on technology and innovation. Look to the pages and enewsletters of Canadian Forest Industries for more information.